We have many joints in the human body and they connect the bones within the body. The Hinge joints help in connecting the like the shoulder to the arms and the thighs to the knees, while the ball and socket joints are found in the hips and shoulders. Joints help to bear the weight of the body and enable a person to move with smooth movements. These joints are made up of bones, ligaments, cartilage, and muscles and provide with stability and mobility. The longest bones of the body which is the thigh bone and the shin bone which are medically called femur and tibia respectively, and between these two bone is sandwiched, the joint which is known as the hinge joint commonly referred to as knee joint. Here are some examples of objects that work like hinged joints they are dog flaps, closet doors, door hinges. The high bone which is also known medically as femur is the heaviest, longest and also the strongest bone in the human body. The shin bone which is also known medically as tibia is the largest and strongest, of the lower leg bone. A ball and socket joint is a type of joint in which the bone has a polished and smooth round shaped head, which is fit into a cup-like bone which would hold the round ball-shaped bone. This joint is one of the most movable parts of the body. 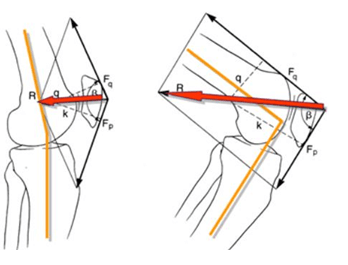 What are the functions of the knee? The knee is known to be one of the most important parts of the human body. It is the largest joints of the body connecting two bones as discussed above. The knee act like a hinge which enables the lower part of the body, which are the lower leg and the foot to swing in an ease forward or back as and when you walk/run/kick/. Also, as we have noticed the knee only bends towards the back, and never towards the side either left or right or even forward. The knee joint is one of the strongest and helps to support the complete body weight of the human body. Everyday activities which include the essential knee are walking, running, sitting, standing. Obesity is a serious disease that is happening worldwide which concern in affecting the health of lots and lots of people. It results due to the high caloric intake which causes an excessive body fat with its relation to body mass. Obesity is one of the leading symptoms which leads to adverse knee problems. Obesity is very much linked with arthritis and some people with both these conditions will be at higher risk regarding their health consequence and knee disability. Also, people who are struggling with obesity will result in having a high body mass index (BMI). Various forms of arthritis are associated with obesity and diabetes. Chronic knee pain and disability are the most commonly caused by arthritis. Arthritis includes many types of problems which come under it. We must have across this term called arthritis, do we understand it? This system generally thought that it affects mostly older people, commonly in age above 50 years or over. But arthritis is known to affect people of all ages, and both male and females too. Some of the arthritis forms are rare in occurrence, but diseases like the osteoarthritis affect people more often. The system which is called arthritis literally means inflammation of joints. Arthritis is not a diagnosis in itself, the term is given to acknowledge that something is wrong. Arthritis is used to describe aches and pains in joints, bones and muscles. There are many types of arthritis problems almost close to 200. Arthritis is also called musculoskeletal diseases. According to medical research it is not clearly know, why such a problem come up. Sometimes the causes of arthritis is unknown, but a combination of factor that influence it. If this problem runs in the family, then it tends to affect the offspring too. Some occupations require people to stand or some activities that causes a lot of strain on the joints can lead to arthritis. Also, smoking can increase the risk of arthritis, lifestyle factors like the diet tend to increase the chances of getting it. As said earlier there are various types of arthritis, but there is one singular thing that unit that is persistent joint pains, inflammation in the joint, stiffness in the knee, and tenderness. In some cases it can also affect the temperature of the body, body rashes, general weakness and also cause muscle wasting. Arthritis can affect different people in different many ways and affects from day to day and week to week. 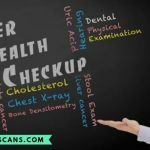 Sometimes the systems of arthritis improve or can even disappear which is referred to as remission and when the symptoms worsen they problem flare up. With the appropriate and the right treatment the problem of arthritis, could sometimes result in remission for months and even years. The particular type of arthritis can show result in how the system has affected you and for long you will be affected. Sometimes the problems caused by arthritis can get better during time or with some treatment recommended by doctors. But, most time arthritis results in a long term stay which can be for many years, this is also called chronic disease. Doctors will decide whether what the course of arthritis will take. 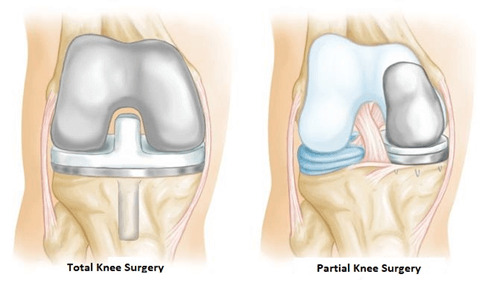 Let’s find what are some of the different types of knee replacement surgery? 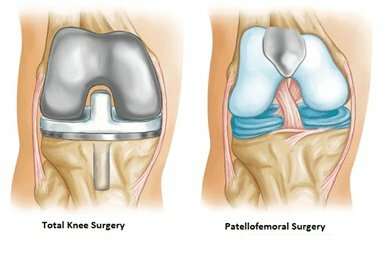 There are different types of surgical method as well as different types of artificial knee joints. Your doctor would recommend you the best surgery which will depend on your health and most importantly the condition of the knee. 90 percent of knee replacements surgeries last beyond 10 years. Stryker knee replacement are unique in relation to conventional knee substitutions since they are intended to work with the body to advance common like round movement. The advancement of innovation in regards to medical technologies help in treating server arthritis by allowing the specific surgeon to be more accurate and precise in their profession and surgery. Creating a virtual knee surgery by combining the accuracy of computer design with exceptional robotic capabilities, so that the knee can function normally. Most of this types of surgery operations involves with replacing the joint’s surface which is at the end of the thigh bone, which we earlier has discussed is called the femur, and the top of the shin bone which is called the tibia. 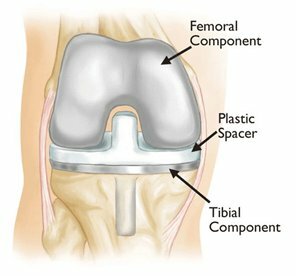 This surgery will involve in replacing the under surface of the knee cap which is known as the patella with a soft surfaced plastic dome like structure. Most time the surgeon performing the surgery would like to keep the natural patella at times, but such a decision is normally made during the surgery operation. The new foreign part is normally put in the place of the joint. Sometimes when the cement is unused on the surface of the component which is facing the bone is kept coated to enhance the bone to grow onto it, thus forming a safe and natural bond. 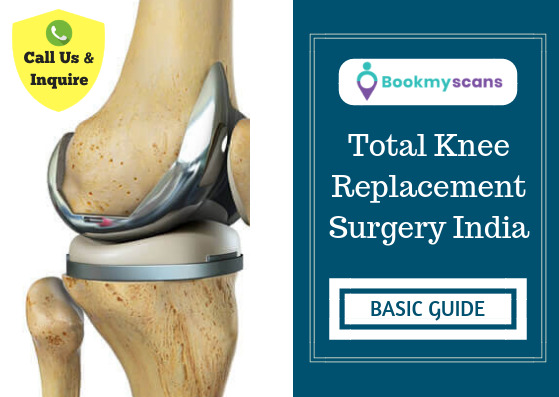 The total knee replacement is suggested when the bone and articular cartilage are so severely damaged that there is no other effective treatment. 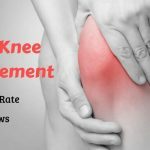 The knee is composed of mainly three compartments, which are the inner part also called as medial, the outer part which is called lateral and lastly the kneecap called Patellofemoral. Uni-compartmental (partial) knee replacement is often suggested to do if arthritis affects only the one side of the knee, which is usually the inner side, then it is medical possible to have a half knee replacement which is also called partial or uni-compartmental replacement. This is a common procedure, in this surgery the replacement is carried out through a incision (a small cut) compared to a total knee replacement. Surgeon who uses the surgery often refer to it as minimally invasive or reduced invasive surgery. Due to the smaller incision it reduces the recovery time. This procedure is not suitable for everyone to do because the person undergoing the surgery has to be strong with health ligaments within the knee. Sometimes the important information will not be known until the time of the surgery. The partial knee replacement surgery can be considered at any age. For a younger candidate it offers the promise to preserve more bone, which is helpful when a revision is required at a later stage. For the older crowd patients, the surgery promises them as it is less stressful operation with less risk of any type of bleeding and less painful. The result of the partial surgery depends on the type of arthritis, rather than the age of the candidate. Though the operation is less invasive with the knee, according to doctors the operation is more complex than a total knee replacement. Your surgeon will tell you which the best treatment for you is. This surgery enables the possibility to only replace the surface of the kneecap and the groove with is called the trochlea and only that part of the knee is affected by arthritis. This treatment is also called a patellofemoral replacement or patellofemoral joint arthroplasty. According to research this surgery is said to have high rate of failure compared to the total knee replacement, which is commonly caused by arthritis spreading to other parts of the knee. Surgeons are more inclined towards total knee replacement as the surgery results are more concrete. The probability of the outcome of the kneecap surgery can result in positive if the arthritis doesn’t progress, and this surgery is a less major operations and also a speedier recovery time. These types of knee replacements usually seen to have a longer stem, that allows the components to be more securely put and fixed into the cavity of the bone. These external components also interlock in the center of the knee, helping in forming a hinge like support to give greater stability. An extra item like a piece of metal or even plastic may sometime be necessary to make up for any removed or badly damaged bone. Some doctors recommend non-surgical (conservative) treatments before telling them to go for a knee surgery, not only because the procedure might involve risks but some dissatisfaction amongst patients who have done the replacement surgery too early for mild arthritis. Eating clean taking up a healthy diet will help to lose weight reducing the strain on the knees. Sometimes this might be difficult because of the pain, but could try exercise like swimming or even cycling. Start gently and gradually processed. India has come to be one of the top and central places to do various types of surgery of the total knee replacement. Almost all the orthopedic surgeons in India are educated from best universities, which have strong history for producing best medical professionals. Osteoarthritis is the most widespread form of arthritis in India. In the past decade, in the group age of 30 to 50 years old are falling prey to this horrible arthritis and continues to impact on senior people of the society. 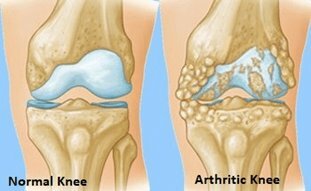 According to research, by 2025, India is likely to see an endemic of osteoarthritis with about 80% of the population consisting of group age of 65 years will be suffering from wear and tear of joints and 40 percent are o suffer from severe osteoarthritis. Pain in joints with combination of knee problems are most common among all Indians. Close to 70 percent of the problems are related to knees(arthritis) and 20 to 30 percent are in the hip. Knee replacements surgery are on the surge in India, according to Dr. Stulberg, in 2012 there were close to 80,000 surgeries against some 50,000 in 2008. The number of the knee replacement rose to 30 percent n the past 5 years which includes both total and partial. There is also an increase which is up to 61 percent in medical surgeries among men and women the age group of 45 and 65.